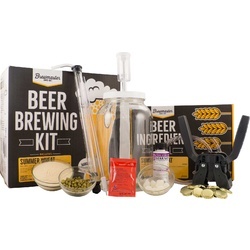 One gallon homebrew starter kits are a great way to get into a fun and rewarding hobby! 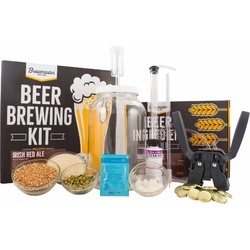 These kits will include your first ingredient kit, and are small enough to be used in your kitchen. 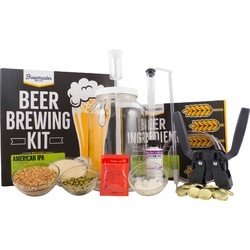 After you've brewed your first batch, you can choose from almost a dozen other recipe kits to try a new (and tasty) home made creation!